Joining professional associations is a great way for college students, interns, and recent grads to expand their professional network, stay on top of industry trends, and advance their careers. It’s often the first step in the networking process. 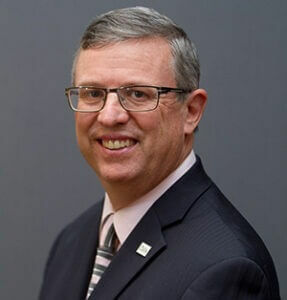 “Whether you are in school or on the job, being part of a professional association challenges you to think outside of your day-to-day pressures, to network, and to learn and grow with others to make you a stronger, more connected professional,” says Jeffrey C. Thomson, President and CEO of the Institute of Management Accountants (IMA®), a nearly century-old membership association and community focused on certifying and advancing the competencies of accountants and financial professionals in business. Networking is available at the local and global levels through IMA. At the local level, IMA sustains a network of more than 300 student and professional chapters for networking, educational programs, benchmarking, and best practices. This includes technical finance and accounting topics as well as leadership and ethics. At the global level, IMA provides services to network and learn, including the IMA Leadership Academy which consists of leadership courses and a mentoring program. IMA also offers a variety of conferences, events and webinars and offers a certification in management accounting, the CMA™ (Certified Management Accountant), and has over 80,000 members globally, with offices in the U.S., Beijing, Shanghai, Singapore, Zurich, Dubai and Cairo. The opportunities vary for each association, but this proves that joining industry associations can provide a wide variety of opportunities to grow and learn at local, national, and global levels. Expanding one’s professional network allows college students, interns, and recent grads to connect with others who work in the industry where you want to build your career. By establishing and building industry relationships, you find other colleagues with whom you may be able to reach out to for career-related questions, to learn about a company, or perhaps find out about a job opening. For example, if you make a contact at a networking event through an industry association and continue to nurture that relationship, they could eventually simply email you about a job opening at their company when one opens up. You may have never known about that opening if you didn’t connect with that person or people through your industry networking contacts. In addition, you can reach out to these contacts if you are in job search mode. And, you may want to work at a company where a contact of yours currently or previously worked and you can tap them as a resource for your questions or to make a connection with someone doing the hiring. “Networking can lead to a new or better job if you are displaced or if you proactively seek change because of the relationships you develop through a connected network,” says Thomson. Networking isn’t just about making contacts to find out about jobs. It’s much more than that. Networking, simply put, is about building, nurturing, and growing relationships. You have to give first, ask second. Becoming active in an industry association can also help you build your reputation as an expert within your career field. It can strengthen your relationships with industry colleagues and help you become a trusted colleague and professional people can count on. These contacts could someday also become clients, customers, co-partners on projects, and/or even co-workers or your future boss or employee. Networking can be difficult, especially for the recent college grad who does not have many industry contacts. And attending networking events is difficult, especially for the introvert. When attending an industry event, go into the event with an open-mind. For example, for each networking event you attend set a goal to meet at least five new people and take away five new ideas. In return, set a goal of sharing five ideas of your own with those you meet. At every event you attend, strive to “mix it up” and meet new people rather than sit at the same table with people you already know, adds Thomson. Think of a networking event as a “once in a lifetime” opportunity to learn something new or to impart learning and wisdom to others, says Thomson. Most of all, learn to build relationships. For more networking tips, check out our blog and follow us on LinkedIn, Twitter, Facebook, and don’t forget to subscribe to our YouTube channel. Jeffrey C. Thomson, CMA®, CAE, is president and CEO of IMA® (Institute of Management Accountants). Jeffrey C. Thomson, CMA®, CAE, is president and CEO of IMA® (Institute of Management Accountants). Since assuming this position in 2008, Mr. Thomson led the development of a strategy resulting in IMA becoming one of the fastest growing accounting associations in the world, with nearly 30% growth in its CMA (Certified Management Accountant) program and more than 300 student and professional chapters. The IMA headquarters are in Montvale, N.J.